Just like in other classic competition repositioning examples, Scope isn’t the immediate focus of this ad. Remember, they have to shift how consumers think of the other brand before they can fill the void. So, the ad waits until the negatives of Listerine (not mentioned by name) are fully explored. Note, the focus isn’t on making Listerine seem less effective. Most people using mouthwash used Listerine. They already thought it was effective and changing their mind would be difficult. What they didn’t think was that Listerine was unduly medicinal, or perhaps that the medicinal smell was necessarily a bad thing – now Scope showed that your clean breath could be just as unpleasant. Scope chose to attack it’s effectiveness at actually making your breath smell better rather than its effectiveness in killing germs. That’s the great thing about repositioning campaigns. The strategy is readily apparent. Judging by sales the campaign was effective. The formerly unassailable Listerine lost market share and was forced to change its products’ formula to achieve a more friendly taste (and then of course spend a lot of money broadcasting that). 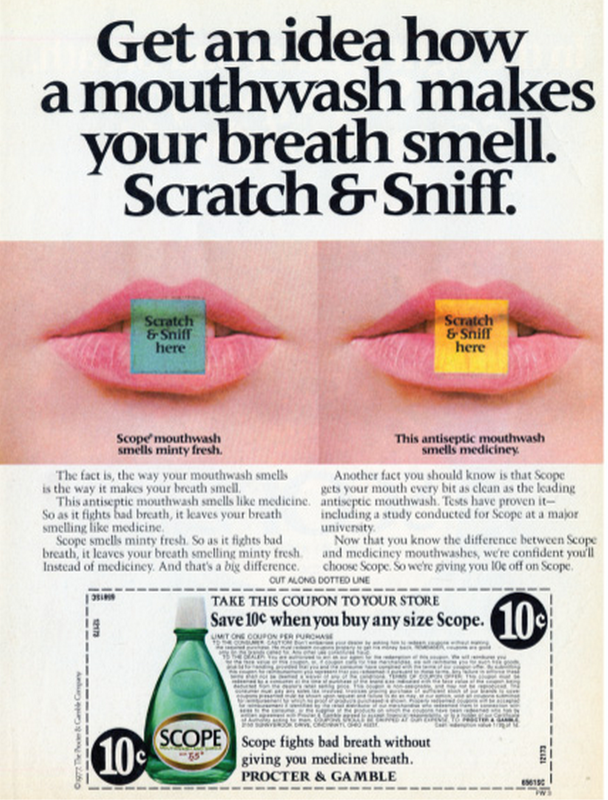 As a bonus, here’s a list of all the weird ways Listerine has been used in the past, or you could go deeper into the world of repositioning with our article on Tylenol.